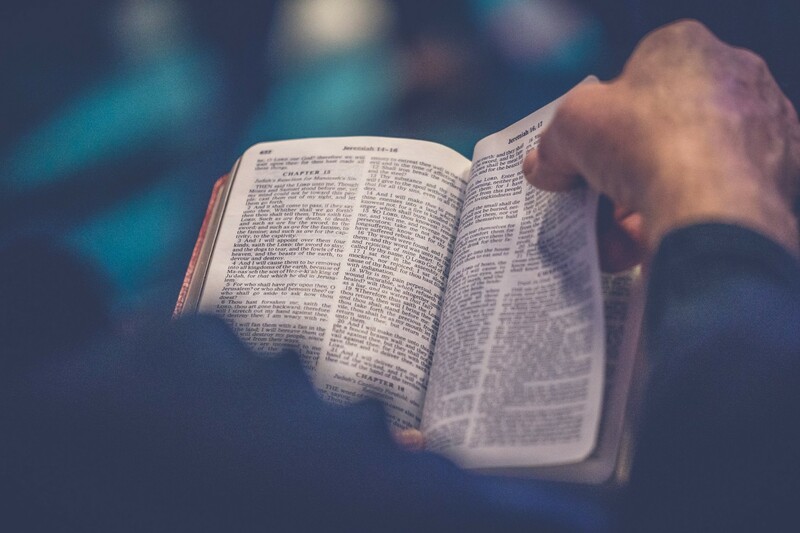 The Bible – We believe that the BIBLE, consisting of the Old and New Testaments alone, is the WORD OF GOD, and that it is divinely inspired. We believe in the plenary, verbal inspiration, that it is the only complete and final revelation of the will of GOD to man, and the supreme, infallible authority in all matters of faith and conduct. God – We believe in the Trinity, the unity of the Godhead. There are three persons: The FATHER, The SON, and The HOLY SPIRIT. They are equally perfect in every divine quality, and execute distinct but harmonious offices in the great work of redemption. (A) We believe in GOD the FATHER (B) We believe in JESUS CHRIST (C) We believe in the HOLY SPIRIT. The Father – We believe in God the Father, an infinite, personal spirit, perfect in holiness, wisdom, power and love. We believe that He infallibly foreknows all that shall come to pass, that He concerns Himself mercifully in the affairs of men, that He hears and answers prayer, and that He saves from sin and death all who come to Him through Jesus Christ. Jesus Christ – We believe in Jesus Christ, God’s only begotten Son, conceived by the Holy Spirit. We believe Jesus Christ is God. We believe in His virgin birth, sinless life, miracles, and teachings. We believe in His substitutionary atoning death, bodily resurrection, ascension into heaven, perpetual intercession for His people, and personal visible return to earth. The Holy Spirit – We believe in the person of the Holy Spirit who came forth from the Father and Son to convict the world of sin, righteousness, and judgment, and to regenerate, sanctify, and empower all who believe in Jesus Christ. We believe that the Holy Spirit indwells every believer in Christ, and that He is an abiding helper, teacher and guide. Man – We believe that all men by nature, choice and practice are sinners, but that “God so loved the world, that he gave his only begotten son, that whosoever believeth in him should not perish, but have everlasting life.” We believe, therefore, that those who repent of their sins and by faith receive Christ as Lord and Saviour will rejoice forever in God’s presence, and those who refuse to receive Christ as Lord and Saviour will be forever separated from God. Eternal State – We believe in a literal Heaven, the eternal home of the redeemed. We believe Heaven to be the literal place where the saved will live forever in the eternal bliss and blessings of God. We believe in Hell, the Christ-less eternity for the lost, where there will be burning and tormenting for those without salvation, who have refused to receive the gospel and Jesus Christ as Lord. We believe that Hell, unbelievers, Satan and all the fallen angels shall be cast into the lake of fire to be tormented day and night forever and forever. Salvation – We believe salvation involves the redemption of the whole man, and is offered freely to all who accept Jesus Christ as Lord and Saviour, who by His own blood obtained eternal redemption for the believer. In its broadest sense salvation includes regeneration, justification, sanctification, and glorification. There is no salvation apart from personal faith in Jesus Christ as Lord. Baptism – We believe in baptism by immersion after salvation with no merit for salvation in the name of the Father, Son, and Holy Ghost (Spirit). We reject infant baptism and any form of sprinkling for infants or adults. Baptism is an outward expression of our faith in Jesus Christ and simply a public testimony of what God has done by His grace. The Church – We believe in the local church, consisting of a company of professing, born-again believers in Jesus Christ, immersed on a credible confession of faith, and associated for worship, work and fellowship. We believe that to those local churches we are committed, for perpetual observance of the ordinances of baptism and the Lord’s Supper, and that God has laid upon these churches the task of proclaiming to a lost world the acceptance of Jesus Christ as Lord and Saviour and the enthroning of Him as Lord and Master. Its scriptural officers are pastors/elders and deacons. While both men and women are gifted for service in the church, the offices of pastor and deacon are limited to men as qualified by Scripture. The Relationship between Church and State – We believe that every human being is responsible to God alone in all matters of faith; that each church is independent and autonomous and must be free from any ecclesiastical or political authority; therefore, Church and State must be kept separate as having different functions with each fulfilling its duties free from the dictation or patronage of the other. Spiritual Gifts – We believe that spiritual gifts are given to the church for the express purpose of winning the lost and edifying other believers. The Holy Spirit is given to each believer upon acceptance of Christ and His purpose is to exalt and bring people to Christ. Speaking in tongues was the least important of these gifts and was given as a sign for unbelieving Jews. That is why we do not teach or practice speaking in tongues. Eternal Security – We believe in the eternal security of all blood-bought individuals or believers and that such inheritance is incorruptible and undefiled, and that each believer is kept by the power of God and nothing can separate us from Him, ourselves included. We believe that believers can lose the joy of fellowship with God, can grieve God and can quench the Spirit of God in him or her, but not lose his/her salvation. World Evangelism – We believe that the apostolic office ceased with the death of the Apostles. We believe that it is His church that He promised continual existence to continue the work He started until He comes again. We believe that the ministry of reconciliation is committed to every believer and all are saints/priests of God. The Lord Jesus Christ has commanded the preaching of the gospel to all nations. It is the duty and privilege of every follower of Christ and of every church of the Lord Jesus Christ to endeavour to make disciples of all nations. Second Coming – We believe in the literal return of Jesus Christ to the clouds to take all saved people from the earth before the beginning of the Tribulation period. We believe in his bodily/visible return with his saints at the close of the Tribulation period to rule and reign for a thousand years on earth. We believe that unbelievers will face God and be judged at the Great White Throne Judgment according to their works, not for salvation, but for their proper and rightful places in the lake of fire. Biblical Separation – We believe that all the saved should live in such a manner as not to bring reproach upon their Saviour and Lord; and that separation from all religious apostasy, all worldly and sinful pleasures, practices and associations is commanded of God. Ecumenicalism – We believe that doctrinal purity is essential to gospel harmony and that the Bible commands us to not associate ourselves with someone who is preaching another gospel, or teaching contrary to sound doctrine.